In the aftermath of the natural gas system crisis on Thursday, Sept. 13 that caused explosions, fires and emergency evacuations in the Merrimack Valley, all three Episcopal churches and one Episcopal school in the affected communities–Christ Church in Andover, St. Paul’s Church in North Andover and Grace Church and Esperanza Academy in Lawrence–report no property damage and no known personal injuries but at least two church families in Lawrence and one in Andover whose homes were affected by fires. Many in all three communities–located about 25 miles north of Boston–continue to be affected by the evacuations and ongoing power outages. As of last Friday afternoon, diocesan personnel were in the process of reaching out to the Brooks School in North Andover and the Episcopal chaplain at Phillips Academy in Andover. The cause of the crisis is still under investigation by federal and state officials. News media report one Lawrence teenager killed and at least 20 injured in Thursday’s disaster, which caused at least 60 separate fires and the evacuation of thousands of people from their homes. Many schools and businesses remained closed and some 18,000 electric company customers were without power on Friday, according to news reports. To that end, the bishops ask all congregations in the diocese to consider designating or collecting an offering in support of a diocesan relief response. 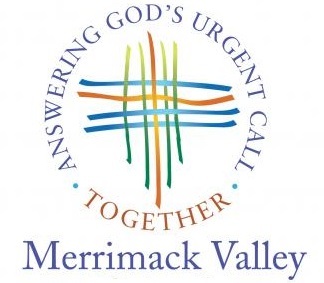 Those offerings should be made payable to the Episcopal Diocese of Massachusetts and marked “Merrimack Valley Disaster Relief.” Contributions may be sent to the Episcopal Diocese of Massachusetts, Attn: Lauren Zook, 138 Tremont Street, Boston MA 02111. As the situation unfolds, the bishops, local clergy and disaster response contacts, and Deacon Jay Jordan, Episcopal Relief & Development disaster preparedness coordinator in the Diocese of Massachusetts, and Canon to the Ordinary Bill Parnell, ER&D disaster response coordinator for the diocese, will continue to be in conversation to determine what longer-term response might be needed. In a conference call on Friday afternoon, Episcopal clergy in the affected communities expressed their gratitude for the outpouring of prayers, concern and support they’ve already received. One of the ways people can be of help to them, they said, is to be patient as they prioritize the immediate care of their communities and families and take time to determine what will be needed in the days ahead. Prayer and liturgy resources for use in times of disaster are available from Episcopal Relief & Development here .